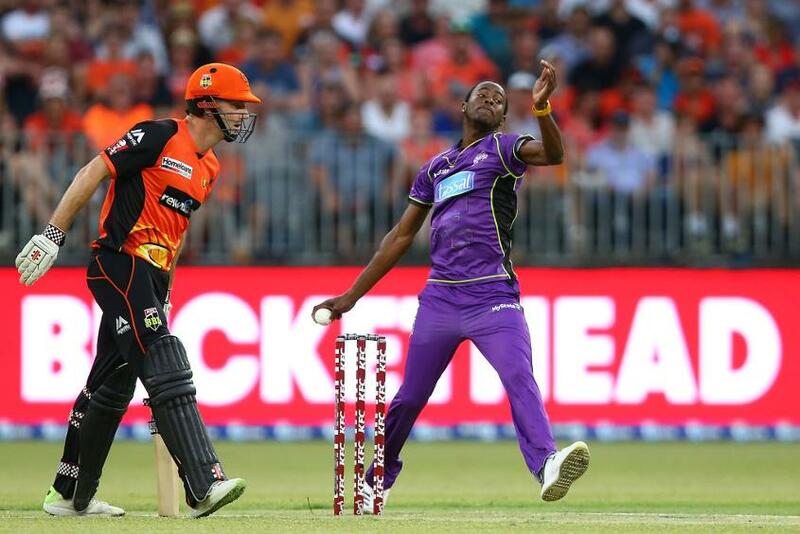 Barbados-born fast bowler Jofra Archer could be eligible to play for England in the 2019 ICC Men's Cricket World Cup, but he might have to sacrifice his Big Bash League (BBL) Hobart Hurricanes contract if he is to earn selection. New regulations brought in by the English Cricket Board (ECB) outlined that the residency period has been reduced from seven years to three, meaning Archer could feature as early as next year, but the revised rules also state that one must spend at least 210 days a year during that period in England. Thus, Archer's participation in the BBL in early 2019 could hamper his World Cup selection opportunities. Should he forgo the BBL campaign, he may be available for selection for England's upcoming tour of the West Indies. If he does not, then he might not be available for any international matches before the World Cup squad is announced. Speaking to ESPNcricinfo, he revealed that he is unsure as to how it may pan out. "I'm not too sure (about skipping the Big Bash)," Archer said. "I haven't been to Australia as of yet. I don't know how the CEO would react. I haven't asked yet. Obviously everything just happened only two days ago, so there's still some time to do some thinking and to really see what takes priority." Archer also pointed out that performing in global T20 leagues, which played a part in attracting attention in the first place, could bolster his England claims. "On the other side, because I've done so well in the Big Bash and the IPL which are coming up, if I'm doing well at them it's something to argue about coming into the World Cup. As long as I look after my performances they should look after me with selection." However, while thought is required, Archer isn't getting consumed by the prospect of an international call-up. "It doesn't make any sense chasing it, as it's only been two days. There's still lots of time before the air changes. I'm still not fully qualified as yet, I still have to do my days. If it happens, it happens but I probably won't try to overthink it too much." Breaking into England's limited-overs sides would be a feat in itself, given the success of the side in both ODI and T20I cricket in recent times, and Archer wasn't getting ahead of himself when discussing his selection prospects. "I'm a bit excited, however that doesn't guarantee I'll be selected this year or for anything upcoming as yet. If it happens, it happens, but I don't want to think too far down the line. I've still got lots of cricket to play even before then so it makes no sense dwelling on that. "(England) are the No.1 team in the world and even if I am in the squad and not the team I think it would be a great experience to be around all those players." Will 2019 finally be the year England win the Men's @cricketworldcup? A powerful batsman as well as a menacing fast bowler, Archer expressed his desire to soon be batting next to all-rounder Sam Curran in England's Test line-up. "In the Tests I'd probably just like to bat just after Sam (Curran). Either before or after Sam. Both of us are attacking and I think we could really do some damage if we do get together," he said. For limited overs cricket, he reckons he has a chance to make a mark higher up the order. "In the ODIs maybe seven or eight as well. I'm not too sure how it will go but I think whenever I do get the chance to bat I can just show what I can do and hopefully with a lot of performances I could squeeze my way up the order a bit."